This entry was posted on February 11, 2013 by Van Rental. Volksagen is aiming to boost new van sales to sole traders and small businesses with a new set of contract hire and finance lease offers which make it possible to drive a new Volkswagen van from £199 a month (plus VAT and initial deposit) with deposit contributions from Volkswagen of up to £1,000. The finance offers are available on the entire Volkswagen van range. This means the Caddy is currently available from £199 a month (excluding VAT), a Transporter from £239 (excluding VAT), or the big Crafter from £309 (excluding VAT). These offers also include a generous initial rental contribution from Volkswagen of £1,000 for customers financing a Caddy or Crafter, or £500 for the Transporter. These offers are available until the end of March 2013*. Alternative finance options, such as traditional hire purchase or lease purchase methods, are also available with a competitive flat rate of 3.79 per cent interest, plus a £1,000 deposit contribution for Caddy and Transporter models, or a £2,000 deposit contribution for any Crafter models. “Low rate finance, stronger residual values, plus a choice of efficient engines using BlueMotion Technology, significantly reduce the whole life costs of our vans, and make them exceptionally good value,” said Alex Smith, director of Volkswagen Commercial Vehicles. 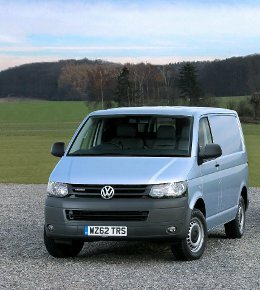 *For more details and full details of the finance offers, visit www.volkswagen-vans.co.uk. Insurance for Lease Vans – What’s Required? This entry was posted on December 8, 2009 by Van Rental. The attractions of leasing cars and vans instead of owning them are clear – no responsibility for expensive repairs, no worries about resale value and the ability to change your vehicle every few years with no hassle. What seems to be less well understood, based on some recent conversations I have had, are the insurance requirements for lease vehicles. Leases don’t include insurance! Unless the company you are leasing from has offered to provide insurance, your lease vehicle won’t be insured and it will be your responsibility to get it insured, just as with any car or van you own yourself. You should check whether there are any specific insurance cover requirements with your lease company, but as a general rule you should expect to have to provide comprehensive cover for any lease vehicles you are responsible for. When taking out the insurance, you will have to specify that you are not the owner and tell the insurance company whether you are the registered keeper of the vehicle or not. You will probably also need the lease company’s details so the insurance company know who owns your van or car. If you are an individual or a small company, everything else is probably the same as you will be used to. Most insurance companies cover lease vehicles but always check if unsure and always be honest with the answers to any questions asked by the insurance company. This entry was posted on November 13, 2009 by Van Rental. A recent survey of van leasing companies by Fleet News has uncovered the UK’s most reliable vans. The survey covered the UK’s 50 largest fleet companies – with a combined fleet of 183,000 cars and vans. At the top of the list for the third year running was the Ford Transit. In second place was the Vauxhall Astravan with Ford’s smaller Transit Connect taking third place. Rounding out the top 5 were the Mercedes Sprinter and Volkswagen Transporter – all good, high-quality choices. Reliability was measured based on breakdowns per 100 vans of each model. Interestingly, there are no Fiat, Renault, Peugeot or Citroen vans in the top 5 – despite the vast numbers that are in circulation. Peugeot did manage to scrape into the top 5 most reliable manufacturers, in 5th place behind Ford, Mercedes-Benz, Volkswagen and Vauxhall. If you’re interested in learning more about van leasing or in getting a free, no-strings quote on a lease van, check out our Van Leasing page for more information.